Cadmium can displace calcium in the body. Toxic metals may or may not be revealed on the hair analysis, because they are sequestered deep in body tissues. If not revealed on the first test, they will often show up on future tests as body chemistry improves provided the patient follows a nutritional program designed to balance body chemistry. Children today are commonly born with cadmium toxicity passed from mother to child via the placenta. Cadmium is found in fertilizer and sewage sludge which comes from contaminating agricultural soil. 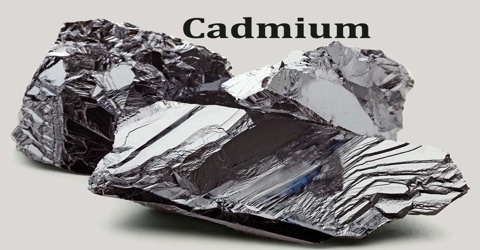 Cadmium is used for plating and corrosion treatment of iron and steel. Cadmium is also utilized in production of batteries, and is contained in spray paints and cutting cadmium and its ores. Acute effects are toxic pneumonitis, which is the inflammation of the walls of the alveoli in the lungs. Chronic effects include renal dysfunction, nephropathy and osteomalacia. Long term exposure can result in emphysema and lung cancer.